THE horrors of World War One have been re-told through song, literature and theatre for many years. 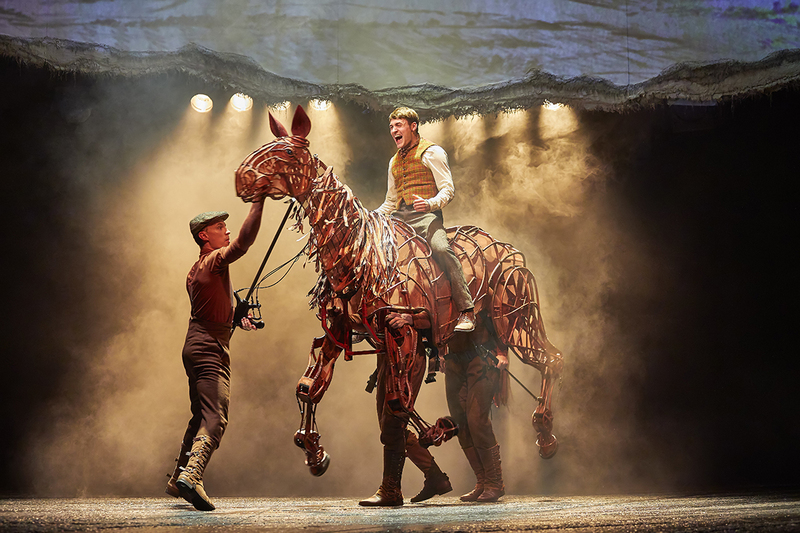 War Horse, based on the novel by Michael Morpurgo, takes us from rural Devon to the trenches, pulling the curtain up on August 1912 and closing after Armistice Day. The equine factor of the play is thanks to the ingenious work of the Handspring Puppet Company, who manage to create puppets with astonishingly lifelike movements and who become the real heart of the production. Central character Albert is played by Thomas Dennis with a wholesome wide-eyed innocence which make the war scenes and the resulting ebbing away of his spirit all the more difficult to bear. He volunteers to join the army in a bid to be reunited with his horse Joey, and the action follows the two as they fight to survive the next four years. The staging is spectacular and the haunting songs, performed by Bob Fox, transfix the audience as the scenes descend from the rolling hills of England to the nightmare of No Man’s Land. As the majestic horses begin to waste away, the characters of the play become weighted with despair and frustration at the tragic waste of life. Many of the most touching parts of the production are when humans from all walks of life, all sides of the conflict, bond over their desire to take care of innocent creatures like Joey. Placing something as pure as the friendship between a young boy and his best friend into the hellscape of war makes the brutal realities of conflict all the more heartbreaking, and the scenes of love and humanity all the more precious. A stunningly-told story of a boy and his best friend against the backdrop of a brutal war. Tissues may be required. 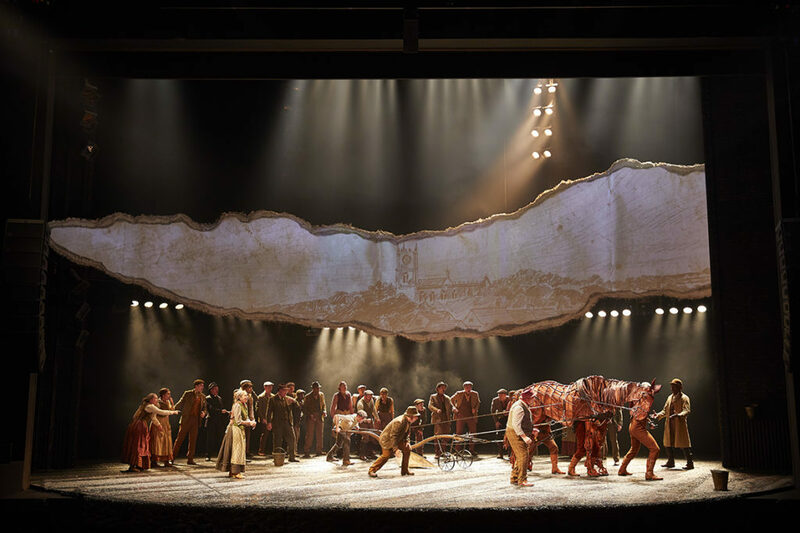 War Horse runs from the 18th April – 12th May at Edinburgh’s Festival Theatre. Ticket info here.